Like every true New Yorker, BLADE flies south for the winter. Now in our fourth year of operating BLADEone jet service between New York and Miami, we finally feel like full-time Miami residents. Just as we know the Hamptons and Nantucket inside and out, we officially feel the same way about Miami. Below is our official weekend guide to our favorite spots in Miami, brought to you by BLADEone. BLADE arranges jet service every weekend between New York and Miami, starting from Thanksgiving and ending in April. This includes Art Basel, Christmas, New Years, and Ultra music festival. 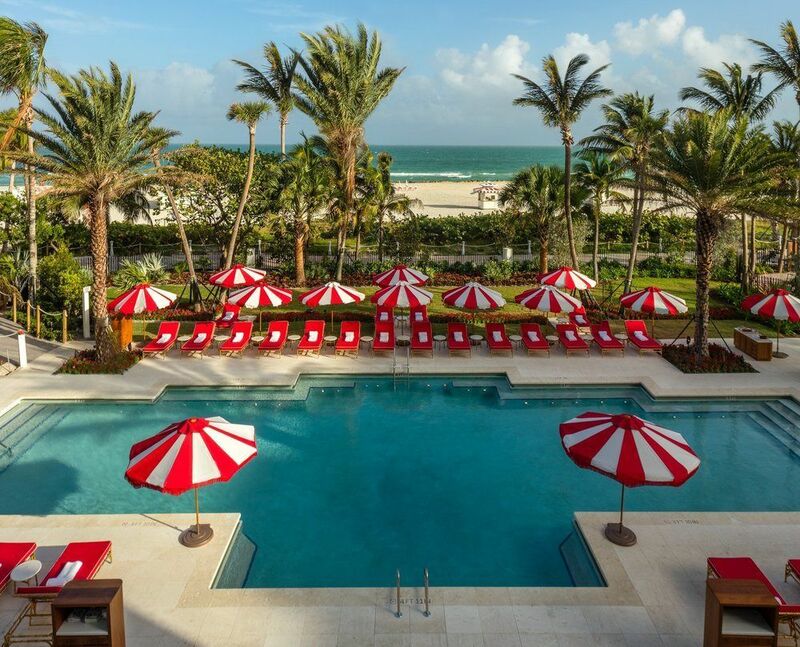 When we're in Miami, we stay in only one hotel: the Faena. We love their Tierra Santa Spa, chic decor, and iconic poolside cabanas in front of the beach. If you fly round-trip on BLADEone, a two or three night stay at the Faena is included with your flights. 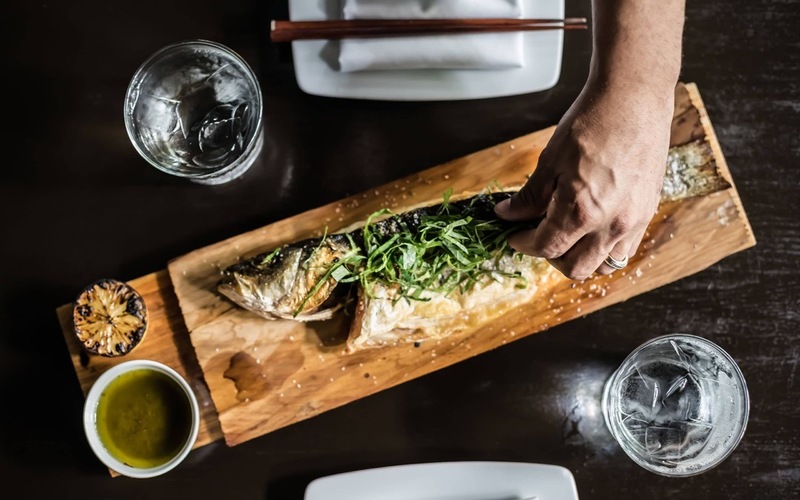 A newcomer to the Miami food scene, Novikov serves Chinese-Japanese cuisine in Downtown Miami. Aside from freshly flown in sushi and wok-seared market vegetables, diners sit among glorious paintings and sculptures scattered throughout the space. When we're craving Amalfi Coast vibes, we beeline for Le Sirenuse at the Four Seasons Hotel. The restaurant's first location is in Positano, so they know how to truly evoke the Italian coast's dolce vita. Enjoy housemade pastas, a full raw bar, and champagne inside the glorious restaurant or on the terrace. Has anyone else noticed that every exciting restaurant opening is located in a hotel these days? Malibu Farm Miami Beach, located in the Eden Roc Hotel, is no exception. With a spectacular ocean view and local farm-fresh ingredients, we can't help but keep our standing Saturday brunch weekly reservation here. For a Saturday night out, we go for dinner & drinks at Komodo. Located in Brickell, this Asian fusion eatery is the brainchild of Jeffrey Chodorow, LIV nightclub guru David Grutman, and Kardashian BFF Jonathan Chebans. We love the cocktails, Lobster Dynamite appetizer, Peking Duck, and decadent desserts. Where to Party in Miami? The days of bottle-service at gaudy nightclubs are behind us. Now we opt for bespoke cocktails and sleek bar design surrounded by an intimate group of friends as our version of a night's debauchery. The Broken Shaker in the Freehand Hotel is our pick for drinks with friends. The cocktail bar is outdoors, decorated exquisitely, and makes a mean alcoholic punch. Ask your backyard mixologist for the elixirs, syrups, and infusions du jour, then request the cocktail of your dreams. Where to Sweat in Miami? While there's no better way to work out than a run, downward dog, or kickboxing session on the beach, sometimes you need a plan B in the event of rainy weather. If you're seeking an indoor workout class, look no further. 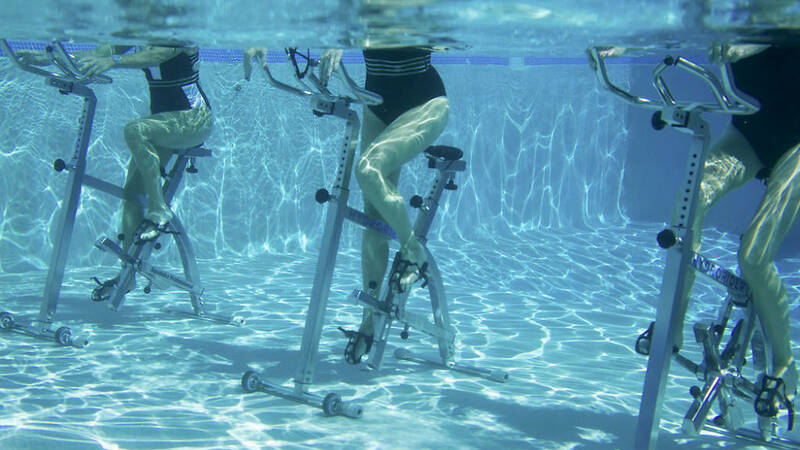 Element Aqua combines two of our favorite workouts: spinning & swimming. The best part about it? You hardly break a sweat. Well you do, but the class is in a cool temperature pool. You may leave drenched, but it's for a different reason entirely. The underwater experience is the perfect class for a pre-beach bikini or speedo body. Did you know that The Standard Spa offer a full yoga and fitness program? Aside from their spa services and treatments, the Standard provides body-aligning yoga, core-strengthening stand-up paddle boarding, Schiller bikes, and one-on-one personal training. 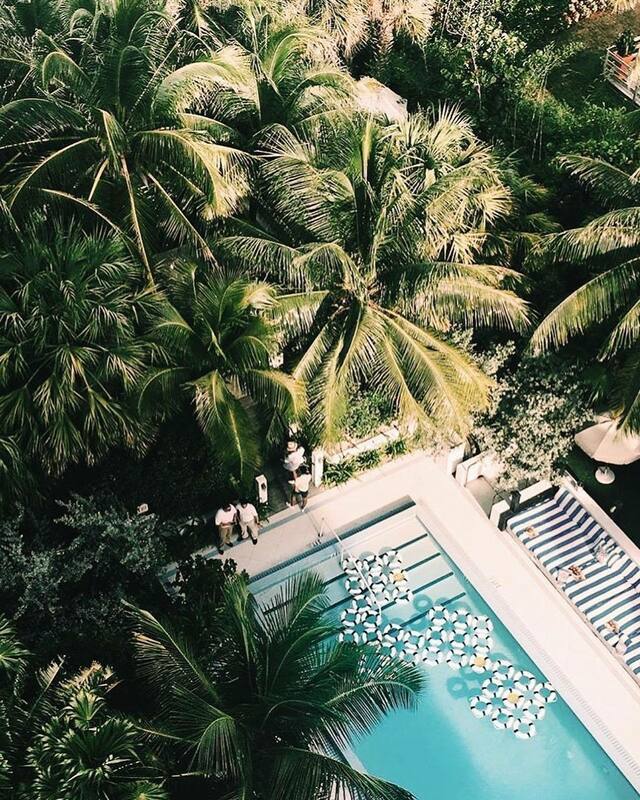 Where to Detox in Miami? 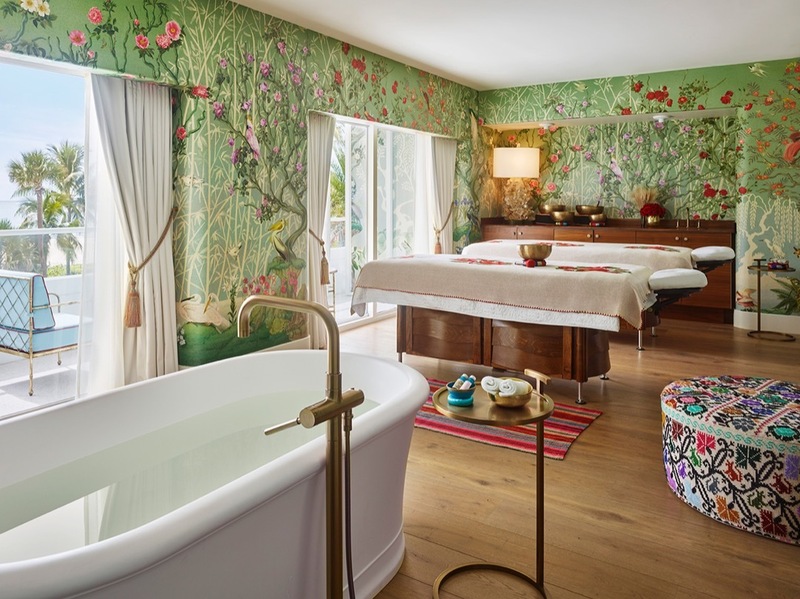 While you're staying at the Faena Hotel, we highly recommend the Tierra Santa Healing House, quite possibly the chicest (and most colorful) spa we've ever laid our eyes on. This spa and skincare sanctuary offers couples' massages, manicures and pedicures, mud treatments, and more. Enrich your life, purify, and restore in any one of their glorious spa treatments. If you're in Miami for a special affair, there's no better place to get glam than at IGK. They are breaking hair barriers with their stylish snips, replenishing products, and edgy salon in the Design District. Book your appointment in advance of BLADEone flight, and turn heads with a blowout or new do. At the 1 Hotel in South Beach, we can't get enough of Nativ Made's juices. Whether it's before an early morning beach run or a post-massage refreshment, the cold-pressed juices and nutrient-packed smoothies unblock the energy to our chakras and keep us going all day long. Where to View Art in Miami? 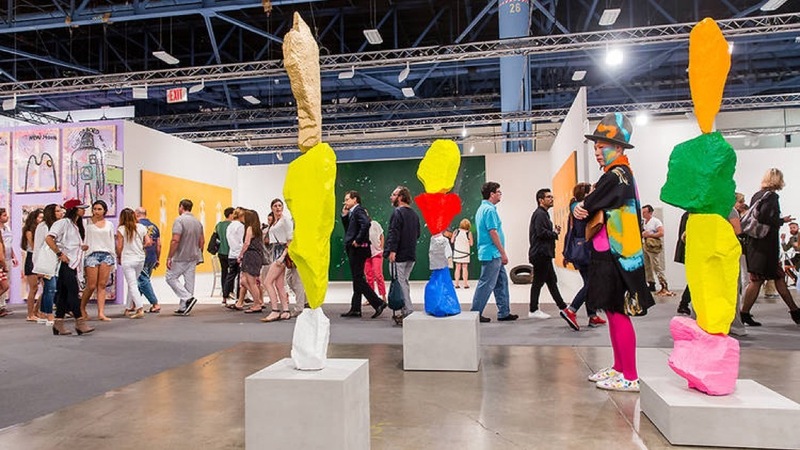 Visiting Miami for Art Basel? Then you've most likely covered the Design District, perused the Pérez Art Museum's exhibitions, and viewed Wynwood Walls. Below are a few additional spots we go for art-spiration and the perfect Instagram. BLADE Lounge Miami at Opa Locka Airport is the point of arrival or departure for any flight arranged by BLADE. 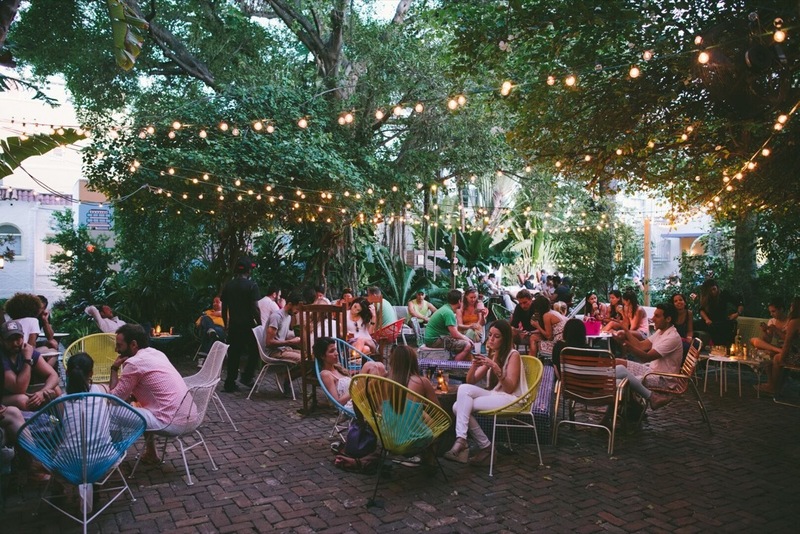 Enjoy cocktails or snacks under the massive site-specific mural painted by a local Miami artist. BLADE's Manhattan lounges are known for their unique art installations, and BLADE's Miami lounge is no different. The Bass recently reopened after a large renovation and has a handful of outstanding exhibits for the 2018 - 2019 season. Contemporary artists such as the Haas Brothers, Karen Rifas, and Paola Pivi are featured in the museum. Plus, the Bass offers plenty of children's programming if you've brought the kids on your Miami getaway. If theater is more up your alley, the Arsht Center offers opera, ballet, dance, musicals, experimental performances, and more. Dress up for a night at the theater or visit midday for a matinée. With over 100 titles performed annually, the Arsht Center never disappoints. 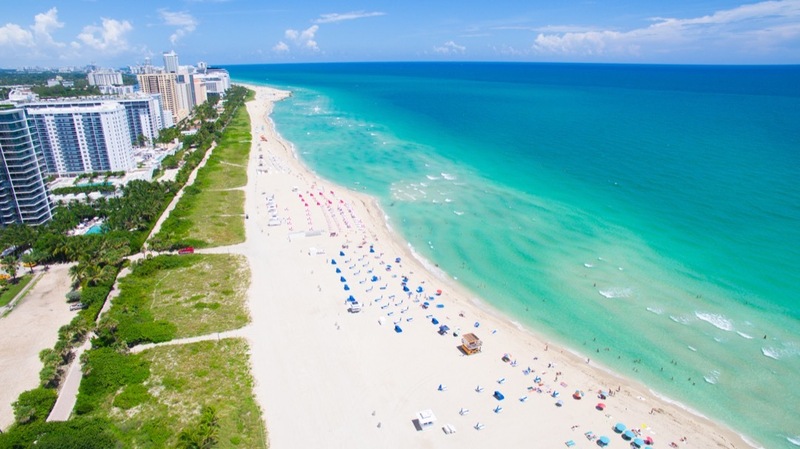 Where to Beach in Miami? Let's face it–the reason you've flown down in the BLADEone jet from wintery New York is for the Florida sun. Bask in the heat of Miami's South Beach, the golden shores of coastal islands, or further along the northern or southern Miami keys. You've flown all this way–get out on the beach and enjoy yourself!